Barcelona´s Sant Martí s district offers visitors to the Catalan capital a quieter experience than to be found in the bustling city center. 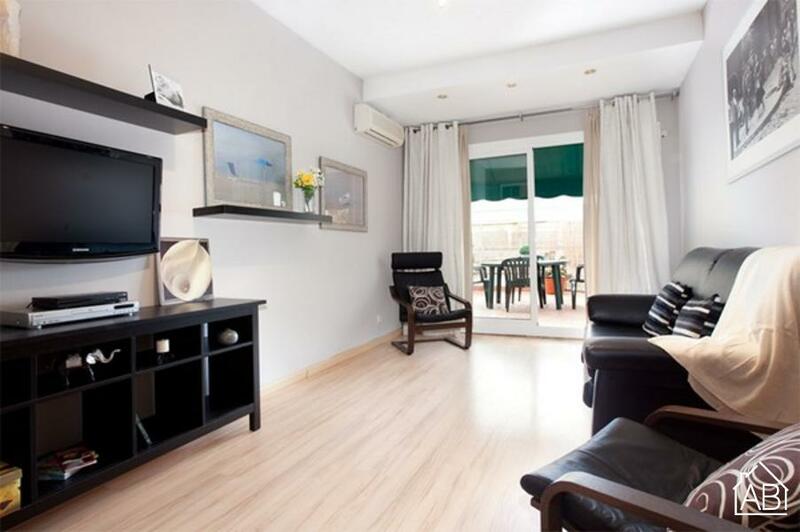 Situated close to Barcelona´s beaches, as well as allowing for easy access to the city center, this area is a great choice for those who wish to explore all of Barcelona´s charm, while enjoying a quiet place to call home. A modern two-bedroom apartment in Barcelona is the ideal choice for those looking to take advantage of all the city´s charm. The parquet flooring and the large windows throughout add to the spacious feel of this lovely locale. The living room is furnished with a comfy double sofa bed, and a TV with Satellite, making it a perfect spot to unwind after a day of sightseeing. Access to balcony grants guests the chance to enjoy a home-cooked meal, as prepared in the fully equipped kitchen, al fresco! Or just soak up the Spanish sun as you enjoy a glass of wine! An Internet connection is also available making it easy to stay in touch with friends and family back home. The main bedroom of this lovely apartment has a double bed while the second room has two single beds, meaning that this locale can accommodate up to six people. The apartment has one bathroom fitted with a walk-in shower. All linen and towels will be provided for your stay. This charming and cozy apartment is the idea choice for those who seek a comfortable place to call home, any time of the year!